is the lone survivor of the Yarnell Hill fire tragedy of 2013. Today he is a public speaker and works with numerous nonprofits for veterans, police officers, firefighters, and emergency medical services. He lives in Prescott, Arizona. McDonough is an uplifting speaker, whose courage to find support at his weakest has inspired others to find their own tribes of support. Building a sense of brotherhood within communities gives McDonough great joy – because it helps this fighter honor the legacy of his 19 lost, but not forgotten, brothers. They were nature conservationists, athletes and above all, firefighters. Nineteen of the 20 members of the Granite Mountain Hotshots, an elite crew trained to fight wilderness fires, died on June 30, 2013, as they battled a fierce fire outside the old gold-mining village of Yarnell, Arizona. Here are glimpses of the men they were and what they leave behind. Through hope, determination, sacrifice and the drive to protect families and communities, the Granite Mountain Hotshots become one of the most elite firefighting crews in the country. While most people run from danger, they run toward it — watching over lives, homes and everything people hold dear, forging a unique brotherhood that comes into focus with one fateful fire in Yarnell, Ariz.
Brendan is part of The Greater Talent Network Speakers Bureau. McDonough is an uplifting speaker, whose courage to find support at his weakest has inspired others to find their own tribes of support. Building a sense of brotherhood within communities gives McDonough great joy – because it helps this fighter honor the legacy of his 19 lost, but not forgotten, brothers. McDonough’s story of finding his way out of the dead end of drugs, finding his purpose among the Granite Mountain Hotshots, and the minute-by-minute account of the fateful day he lost the very brothers who had saved him. A harrowing tale of resilience in the face of tragedy, My Lost Brothers is a powerful reminder of the heroism of the people who put themselves in harm’s way to protect us. This October, it’s not about what’s standing in front of you. It’s about who’s standing beside you. 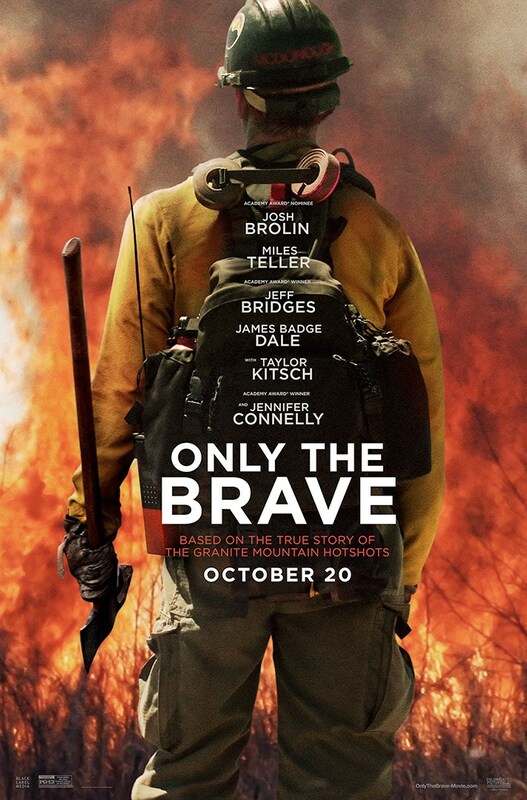 #OnlyTheBrave, based on the true story of the Granite Mountain Hotshots only in theaters. 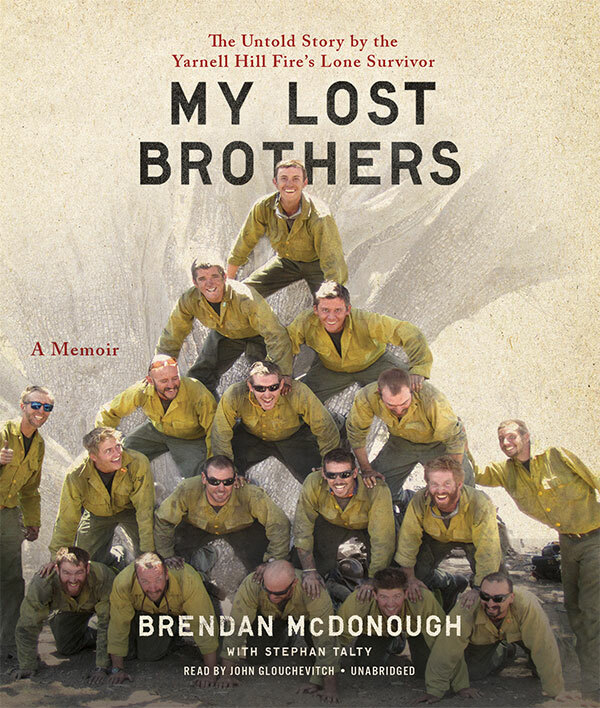 My Lost Brothers is a gripping memoir that traces McDonough’s story of finding his way out of the dead end of drugs, finding his purpose among the Granite Mountain Hotshots, and the minute-by-minute account of the fateful day he lost the very brothers who had saved him. A harrowing and redemptive tale of resilience in the face of tragedy, My Lost Brothers is also a powerful reminder of the heroism of the people who put themselves in harm’s way to protect us every day. Brendan is part of The Greater Talent Network Speakers Bureau. If you are interested in booking him for a speaking event please visit the link below. Want to stay up to date with Brendan's speaking events and more?